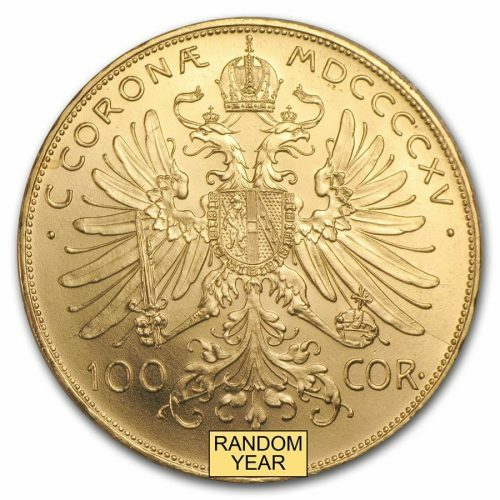 These large Gold 100 Coronas from the Austrian Mint containing almost a full ounce of Gold are popular among investors for their high Gold content. 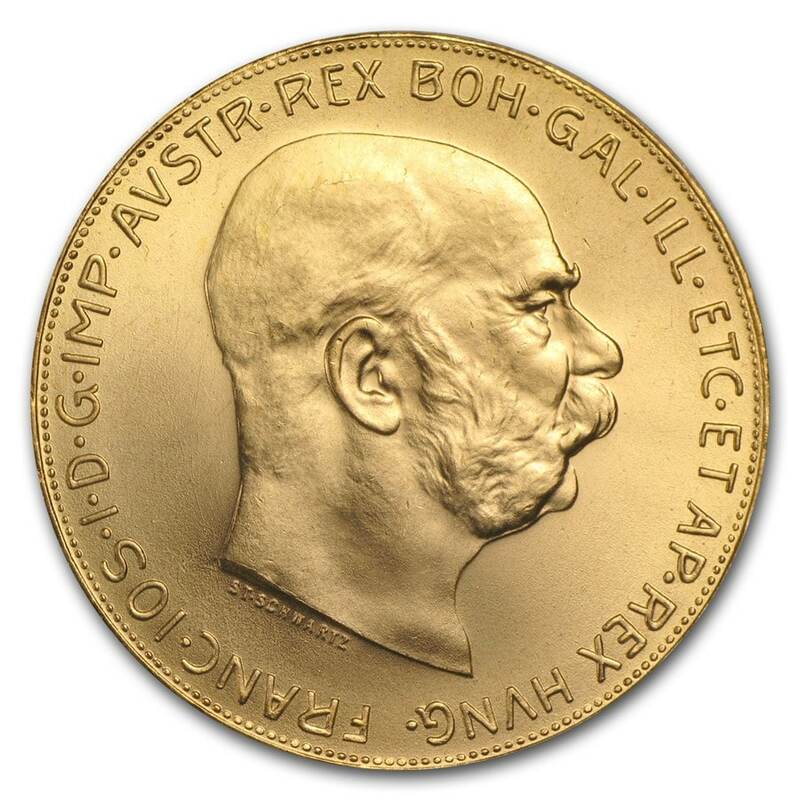 Additionally, collectors value the classic, regal design of Franz Josef I. Contains .9802 oz actual Gold weight. Obverse: Each coin depicts a right facing bust of Austrian Emperor and Hungarian King Franz Josef I. 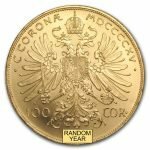 Reverse: A regal design that displays the coat of arms of Austria superimposed over a crowned imperial double-headed eagle. Minted at the Austrian Mint.